Hounslow Council has appointed Rachel Victor-Sampson as the Town Centre manager for Brentford and Chiswick. 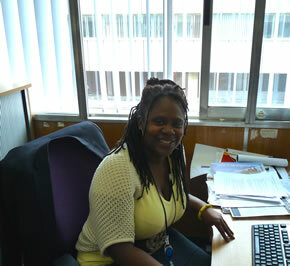 Ms. Victor-Sampson will be responsible for supporting and promoting the Brentford and Chiswick areas within the borough. Cllr Peter Thompson commented: “Chiswick Councillors are delighted that their campaign for a Town Centre Manager for Chiswick has finally paid off. We have debated and pushed for this for years so it’s great to read on ChiswickW4 that we now have someone in post. We hope that local businesses will find their new local town centre manager a useful point of contact for any inquiries relating to the health and management of Chiswick High Road – cleansing, parking, planning and crime reductions. An online resource for jobs for planning professionals has quoted the new Town Centre manager as saying that she hoped to put Brentford and Chiswick on the map for the “great underrated and undiscovered places that they are”. Her key tasks will include promoting, marketing and supporting the development of the town centres and being an advocate to local businesses and stakeholders. Traders have long been calling for a Town Centre Manager to help support small independent businesses, many of whom have found conditions difficult during the recession. Suzie Betlem, President of Brentford Chamber of Commerce, along with colleagues met Ms Victor-Sampson last week. Suzie said "It was lovely to meet Rachel as she starts in her new role and we enjoyed a long informal conversation raising lots of issues about Brentford. My team and I look forward to working with her over the coming years." Ms. Victor-Sampson commented in the article that it was "a commendable move on the part of London Borough Hounslow to appoint this role which demonstrates a holistic vision and commitment to the development and regeneration of areas." Her most recent appointment was at the Science Vale Oxford Enterprise Zone, where she was responsible for coordinating and enabling the delivery of projects. Ms. Victor-Sampson began her career in housing development in the 1990s, and moved into urban regeneration in 2005 as the Millennium communities national programme manager with regeneration quango English Partnerships.